When I was a nipper, there was a woman who worked at the shop in the next village whose skills behind a cash till were mesmerising. I used to tag along for the weekly trip just to see how fast she could bash the keys on the machine without, it seemed, ever making a mistake. She continued working there for years, her body hunching with age and her hair greying, but the speed never left her. She was awesome personified and displayed a dexterity I have never seen before or since. And then one day, I don't precisely remember when, I went in to buy something and The Fastest Checkout Girl in the West simply passed the object under a machine which went 'beep' and she read out a price. She struggled to smile; she knew she would never have the chance to demonstrate her awesome skills again, and she knew I knew it. I felt very sad. Harris in the GT3 - happy to paddle it? 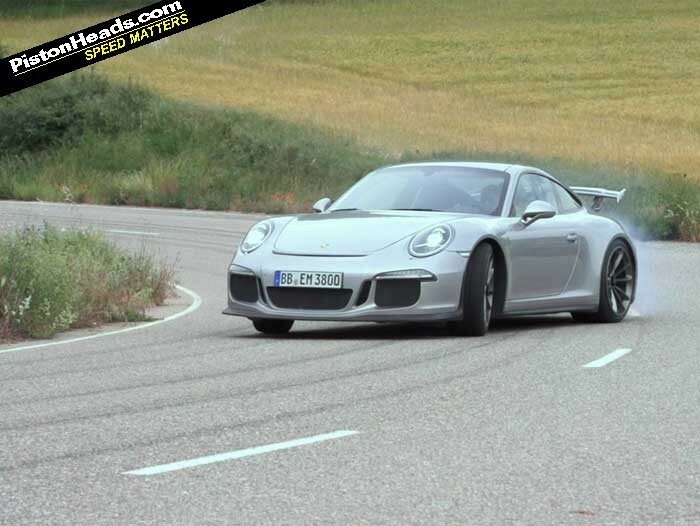 This obtuse recollection came to mind as I was driving the new 991 GT3. I was pootling along at 30mph and then had to slow to 10mph and negotiate an obstruction in a village. I simply pulled the left lever, the car seamlessly dropped from second to first gear without a shudder and accelerated away again. It was utterly nonchalant - neither car nor driver gave it a second thought. And then it struck me I had just missed a perfect opportunity to demonstrate to myself one of the most difficult gearchange situations - the smooth heel'n'toe from second to first gear. The one I used to do as often as possible years ago to learn how best to match brake and throttle. This was confusing. On the one hand I was awed at the way this new PDK transmission handled the situation, on the other, just like the demon till operator I felt that a skill I had nurtured and cherished for so many years had been rendered redundant. 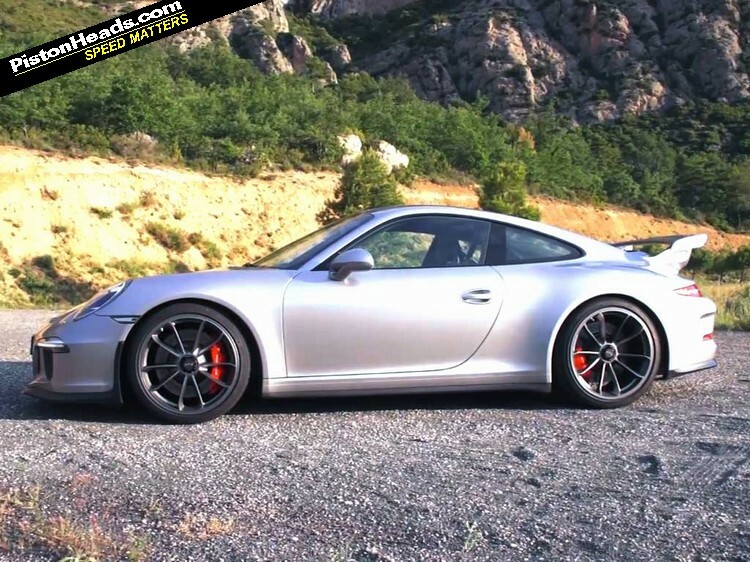 This is a theme that pervades any appraisal of the new 991 GT3. It is not one I wish to avoid, but it I think it needs to be separated from the reality of driving the vehicle itself. The GT3 is paddles only, and to ignore this car because it's missing a pedal would be foolish. It provides a driving experience I'd have thought impossible in a street-legal 911 until recently - and by recently I mean last week. When you watch the rev counter spring from 8,500rpm to 9,000rpm then tap that lever, receive a nudge to the spine and register an exhaust pop reflecting of a cliff face it's hard to support the notion that the new GT3 is anything other than a complete masterpiece. The engine is perhaps an even bigger bone of contention. Gone is the old split case six that defined unquestionably the greatest sports car dynasty in Porsche's history - the GT3 - in its place comes a derivative of the direct injection 9A1 motor. The first time you extend it, you forget the Mezger lump ever existed. Rated at 475hp and with 325lb ft of torque it is so happy revving beyond 8,000rpm that controlling the instinct to spend the whole time up in the raucous zone is too much to bear. And the noise between 8,500 and 9,000 needs to be experienced first hand. It's the sound of a valvetrain straining. It's slightly unsettling and perfectly real. There's no symposer here: the noise builds from 3,000rpm and dominates the experience. 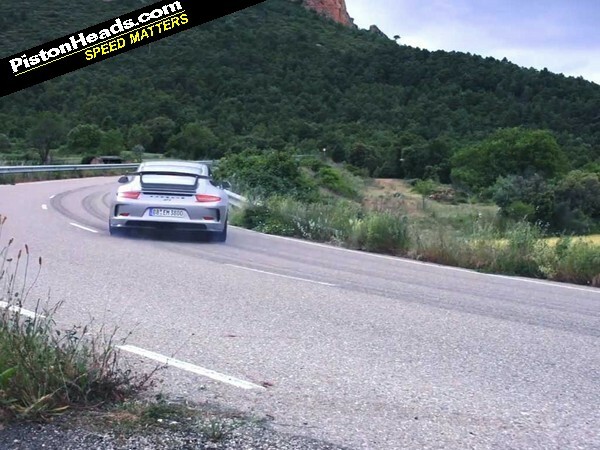 At 9,000rpm, with the exhaust in its loud mode, the car is louder than a 997 Cup car. Gear ratios are shorter than on the 997 GT3 and, unlike other PDK 911s, seventh gear is not an overdrive. It's a stunning powertrain: characterful, accessible and so damn fast. Porsche claims 0-100mph in 7.5 seconds using the launch control, and, not that many people will trouble such a time, it can lap that place in Germany in 7min25sec. Bigger gains have been made in the chassis. Don't dismiss the four-wheel steering until you've driven this car. A wider front axle, new rubber, many new suspension components and a superb active locking differential combine to transform the GT3's behaviour in bends. Gone is the understeer and reluctance to turn. The agility is startling and the way the diff can open under braking makes it feel free and keen to change direction. As someone who has spent too much time trying to make fast 911s more effective on the road, I was just stunned at what it can do. But best of all the technology is invisible within the overall experience, you simply do not know it's there - to the point that if you provoke the car into a slide the car instantly locks the rear wheels in place because it knows you want to be silly. 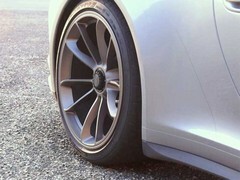 High-speed stability is of a different quality to the outgoing car. For me, the weight penalty as a road car is easily worth the gains at all speeds. I only drove the car on dry roads, but the electric power steering proves that we need to be patient with what appears to be an evil development. This is miles, miles better than the Carrera's rack. The weighting immediately has GT3 DNA about it. The squirm and wriggle is much more muted than before but it's telepathically accurate. This is the first electric steering I have felt an emotion for that went beyond mere tolerance. I want to drive the car in mixed conditions before saying much more. To my skewed sense of the aesthetic this car looks plain wonderful. The nose treatment lifts it above normal 911s, the forged rims - especially the dished rears - had me gawping for minutes and the suggestive ride height gives it that unmistakable air of no-messing. The cabin is a mild tweak on the 991 theme: well organised, high-quality and dotted with enough GT3 references to keep people happy. 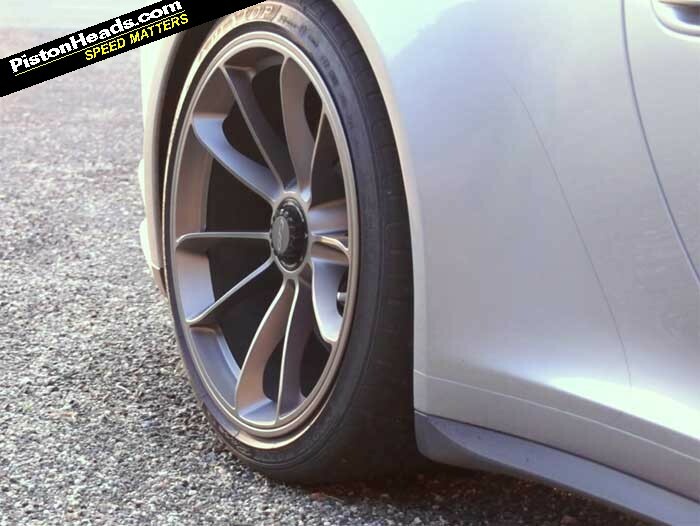 The carbon buckets in the Clubsport model are less extreme than the old fixed-back items, but still a great compromise between weight, comfort and support. Reducing the travel of the paddles by 50 per cent and increasing the effort required to pull them certainly adds to the sense of occasion and connection. The lever also moves in the correct direction, back to go up. Shifts themselves are mesmerisingly quick, Porsche quotes a number but it's meaningless from behind the wheel - they feel instant. Coupled with the new front axle agility it makes the GT3 so immediate and athletic and, crucially, completely cloaks the fact that the car is heavier than before. The way it drives, you'd swear it was lighter. In defense of the paddle approach, there were times when I genuinely thought the car wasn't just better for having them, but more fun too. I didn't expect that. I drove the car in 'normal' gearshift mode, 'sport' is for circuit use only. Brake pedal feel is exemplary and I suppose one of the few upsides to not having to match engine and gear speed is now being able to ignore the fact the brake pedal is still a little too high. Steel brakes are standard: 380mm all-round with exemplary pedal feel and not once giving me any fade. The electronic safety systems, coupled with the torque vectoring give less skilled drivers immense security to explore the car's capabilities, but I love the fact that you can still remove everything and lay lines if you want to. Which should somehow bring me back to the old crone who could process a trolley of food shopping like her life depended on it, but I can't summon a suitable hook to lead us back there. I suppose it's a point of principle, really. Changing gear yourself is one of the cornerstones of driver skill and enjoyment. 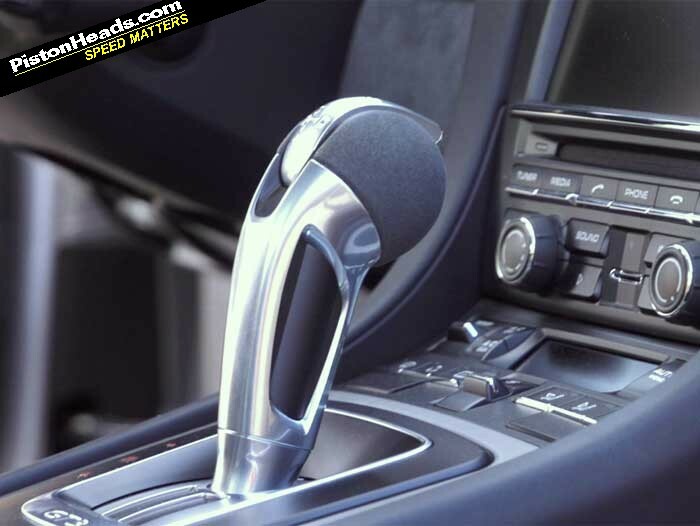 As every other manufacturer of very fast cars has abandoned the noble gear lever, Porsche had a chance to show that it operated on a different level to those traitors. But it chose not to. However, I cannot allow that to taint what the GT3 has become. It is faster, better and in many ways more enjoyable than before. Just thinking about that engine as it heads into the red zone makes me grin. But the GT3 would have been more things to more people if there was an option to change gear yourself - of that I remain quite convinced. Bit like a nice sounding GTR but slower. :-). Such a disappointment. Save the Manual! Maybe Porsche will be persuaded to do a manual model off the back of all the support a proper transmission still has. Maybe they'll refuse, and say "here's a big s t sandwich, take a bite".